I’m all about earthy clay remedies. Clay skincare, clay toothpaste, clay haircare…and if there are any more uses for clay, send them my way! My hair was damaged and still is from all the perms, highlights, dyes, and other chemicals (for natural hair color use Hairprint or for darker dyes use henna, to go lighter use lemon juice). They are the worst possible things you can do to your hair, not to mention the drinking water in your home. I was on a mission to find some solutions. 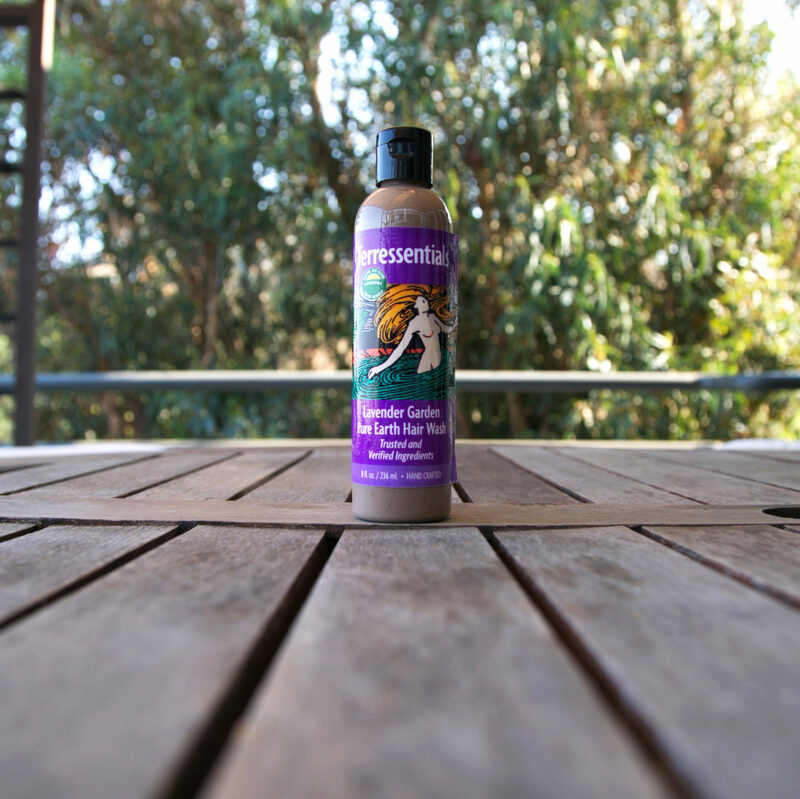 I came across Terressentials, a special clay hair cleanser. Me being the modern day hippie that I am, I bought it, tried it, and I’m falling in love with the brand. Our hair is so full of polymers, sebum, synthetic residues, and chemicals, it’s disgusting if you think about it. This exotic clay hair wash attracts impurities, dirt and oil, binding them into the clay structure, and removes them from your hair. It’s made completely of non-toxic, organic ingredients so when you rinse your hair after washing, you’re not pouring chemicals down your drain and into the waterways. It definitely feels strange at first. I’ve used non-lathering shampoo before, but this one feels like you’re cleaning your hair with sandy mud. It’s really amazing though and you really don’t even need conditioner as you aren’t stripping your hair of the natural oils or adding damage to your hair. What I’ve been doing on occasion is mixing 1 part raw organic apple cider vinegar with 1 part water and using that as a conditioner. Massage it in and rinse it out. It helps to speed up the detox process. I am still using other haircare products, but I see myself using this more steadily and permanently in the future. Another major hair care change I made, which I know most people do already, is that I am only washing my hair about 2 times a week. This is really helping as well. Check out the Terressentials website, it’s full of enlightening information.